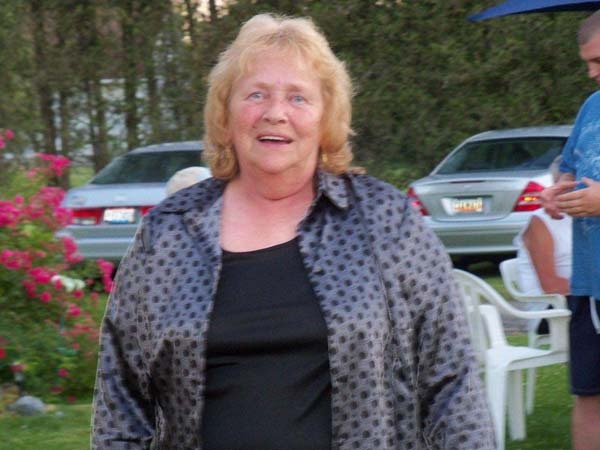 Mrs.Tess Ann (Smith) Hart, age 75, of State Hwy 331 (town of Oppenheim), a lifelong St. Johnsville resident, joined her late husband, John J. Oliver, III, in heaven on Wednesday, August 22, 2018 at Bassett Healthcare, Cooperstown. At the time of her passing, she was in the comfort and care of large loving family. Tess loved to be outdoors. Her hobbies included gardening and planting vegetables with her husband. Tess and John were ever so proud of their beautiful gardens and flowers they planted together. Above all, the biggest satisfaction and joy that Tess found was spending time with her loved ones, especially her grandchildren and great grandchildren. Her happiest moments were spent in the company of her family members and she will be deeply missed by all. Tess is survived by her beloved family; her children, Dale (Kim) Smith of Nelliston, Deborah (Derek) Gordon of Johnstown, Allen (Barbara) Hart of St. Johnsville, Jeffrey (Tanney) Hart of St. Johnsville and Todd Gannon of St. Johnsville; cherished grandchildren, Carl, Brittany (Chad) Prevost, Vincent, Matt (Nina) Gordon, Jake (Marissa) Gordon, Zack Gordon, A.J. Hart, Allison Hart, Megan Hart and Amber Hart; adored great grandchildren, Colin, Elijah, Kayne, and Connor; her siblings, Fred Smith of Tribes Hill, William Smith of St Johnsville, Loretta Battisti of St Johnsville, Scott Smith of South Carolina, Kathy Buckley of St Johnsville, Paula Wilsey of South Carolina, Judy Congdon of St Johnsville; in-laws, Joyce Oliver of Virginia, Harry and Rose Derkay of Florida, Mark and Janice Gorinshek of Little Falls, Todd Simpson and Susan Oliver of Massachusetts and David and Barbara Strong of Ilion; many, many nieces, nephews and cousins; she was preceded in death by John Oliver III (Husband), Ann Smith (Mother), Al Legere (Step-Father) Chester Smith (Father) and Dolly Smith (Step-Mother), Brian Smith (Half-Brother) and also by Kay Belcher (Sister). Mohawk Valley Funerals and Cremations, 7507 State Route 5 (between St. Johnsville and Little Falls), 315-508-5131 has been entrusted with funeral arrangements. Calling hours at the funeral home will take place on Monday, August 27, 2018 from 4-6:30 pm followed by a funeral service commencing in the funeral home chapel at 6:30 pm. Burial will take place at West St. Johnsville Cemetery at the convenience of the family. The Hart family would like to thank the many relatives and friends who have offered their support and encouragement throughout the past five months. Please visit www.mohawkvalleyfunerals.com to offer an online note of sympathy or for directions to the funeral home.